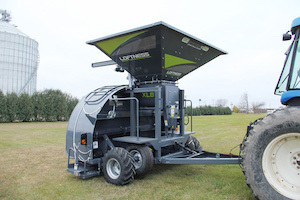 The XLB10 grain bag loader from Loftness holds 10-foot-diameter grain bags up to 500 feet long, unlike standard loaders that only fit 300-foot-long bags. The XLB10 also comes with a remote-controlled jib crane and trolley system, as well as a bag-loading apron, to reduce the amount of labor needed to install bags on the unit. Other new features include transport wheels, easy-access platforms and a grain sampling port. The XLB10 loads grain bags at a rate of 30,000 bushels per hour and offers thick steel construction for long-lasting, reliable performance. 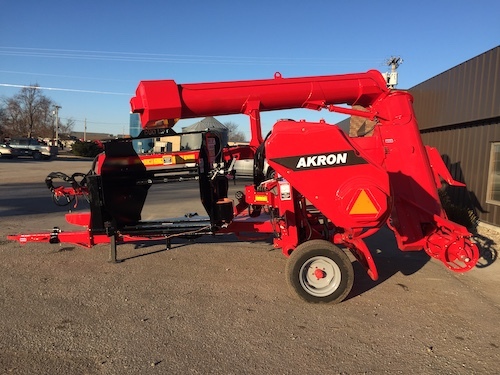 The AKRON Grain Bagger was built with the producer in mind. Our patented Easy Lift™ system makes it the easiest and most convenient bagger to use. The hydraulic functions load up to a 500-foot bag onto the tunnel for you. AKRON uses flotation tires and has the largest hopper on the market, making it the easiest to load and achieve a full 32,000 bushels per hour with a 75-100HP tractor. As a result, it will speed up your harvest and reduce the need for trucks. 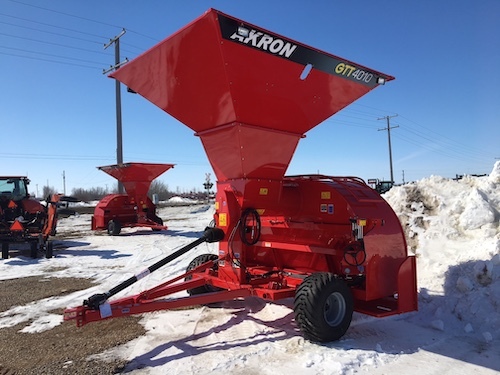 The simple and user-friendly design make the AKRON GTT4010C the most popular bagger on the market. 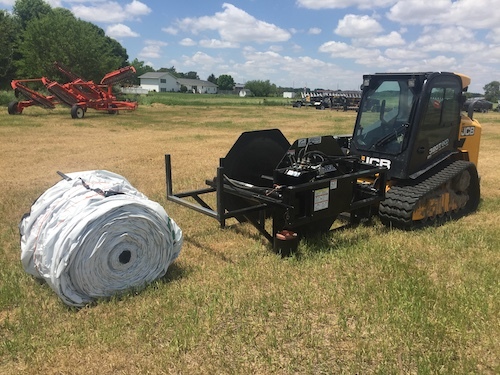 The Duo Lift HBR2550 Grain Bag Roller efficiently rolls an empty 250- or 300-foot grain bag into one roll or an empty 500-foot grain bag into two rolls. Equipped with a quick attach universal skid steer mounting plate for use on skid-steer loaders or appropriately equipped farm loaders. Only one, two-way open center outlet is required to supply oil to the two spool valve. A single twine ball canister and manual twine wrapper handle allow the roll of grain bag plastic to be easily tied-off. Rolled and tied empty grain bags are easy to transport and recycle. The Duo Lift GBR300 Grain Bag Roller is made to be mounted to AKRON Grain Bag Unloaders. This unit efficiently retrieves and rolls an empty 250- or 300-foot grain bag from the grain bag spool on an AKRON Grain Bag Unloader. Only one additional two-way open center outlet is required to supply oil to the two spool valve. A single twine ball canister and manual twine wrapper handle allow the roll of grain bag plastic to be easily tied-off. Rolled and tied empty grain bags are easy to transport and recycle.